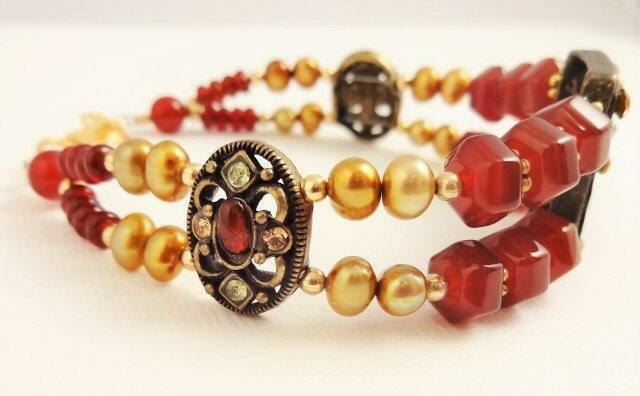 Dark Carnelian pairs with gold freshwater pearls for a great fall accessory. 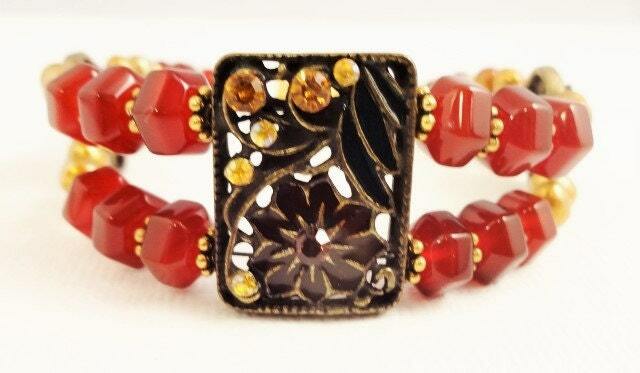 The unique enamel and crystal sliders make this a one of a kind (ooak) bracelet. 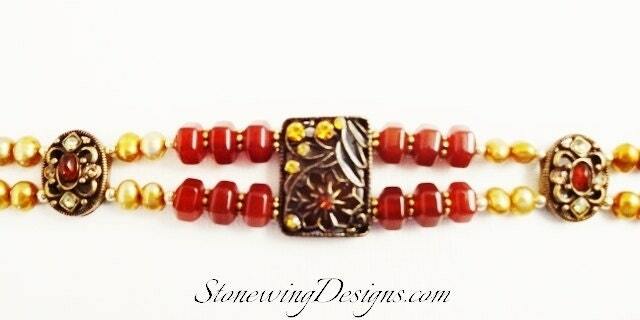 If you love fall colors, this bracelet will be your new favorite piece of jewelry. Fits like a cuff so you'll want to wear it on the snug side. 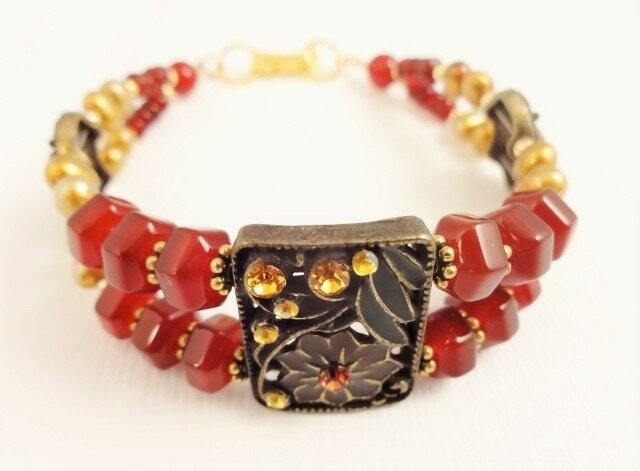 Length: fits wrist size 6-1/2 to 6-3/4 inches. Let me know if you need a different size and I'll make sure it's a perfect fit. Closure is a gold plated fold-over clasp.